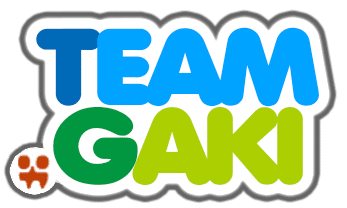 I’m such a huge fan of Team Gaki and there off shoot shows they’ve done I’m placing everything in here that I find. Things change quickly and a lot of the material gets moved and sadly deleted. Some in the past have done 24 hour streaming of all their New Years events and other shows they’ve done in the past. I was fortunate enough to have watched one of these shows in real time in Japan while I was living and going to school there. So this is here to show my support for one of the craziest game shows I’ve ever seen. When I first saw I thought it was ridiculous and hated it. 5 minutes later it was my favorite thing in the world. That’s Japanese comedy for you. Enjoy and if you have any sources to share please comment below or share it in the Facebook page. PS: I will get everything I can find, somethings are not complete or not subtitled. This is a series of competitions where each member tastes a randomly selected product, mostly food and drink but once cigarettes, from many different brands blindfolded. After the tasting period, they must find the product they tasted. Anyone who selects correctly will receive a prize money, usually 100,000 yen, otherwise they take a variety of punishments, such as being hit in the groin by a Chinko Machine or getting slapped by a foreigner. All Gaki No Tsukai fans, its the time of the year again. 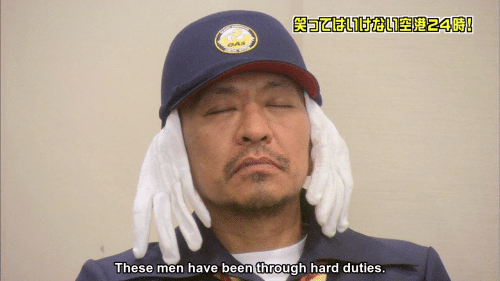 For this years Batsu Game The Gaki no Tsukai cast participated in the 10th annual punishment game (the 10th new years show in the No Laughing Series) in a Science Lab. 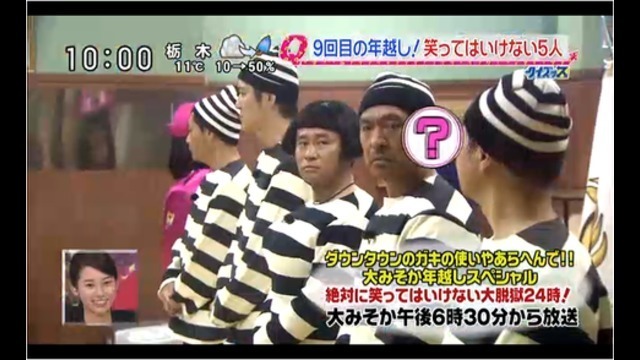 The Gaki no Tsukai cast participated in the 9th annual punishment game (the 10th new years show in the No Laughing Series). 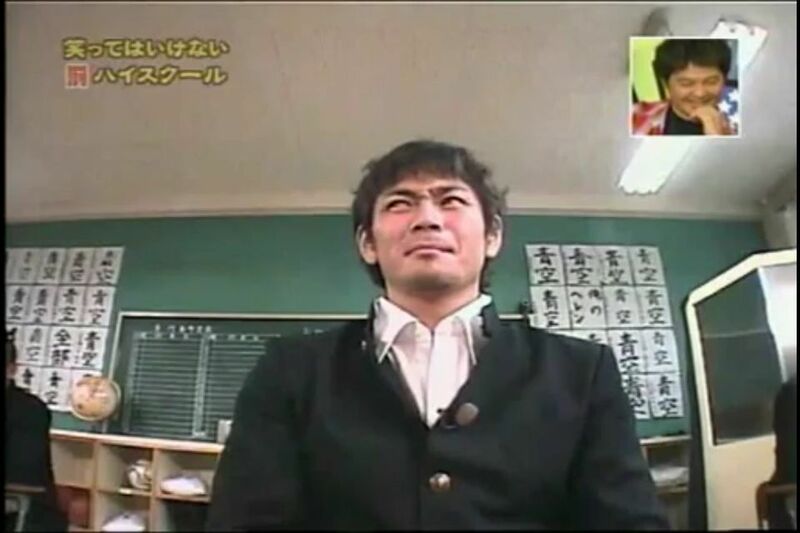 Unlike previous Batsu Game, this series is the first to include special guest named Masahiro Nakai of Japanese boy band SMAP participating in the first few hours of No laughing rule. This series also sets the new record for the slaps received by Hitoshi Matsumoto. Credits goes to TeamGaki, who subbed the whole Batsu Game. 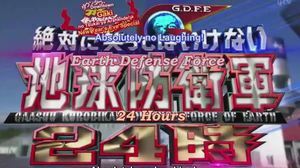 Five Rangers GameIn this challenge, all five cast members enter separate dressing rooms and each randomly dress as one of the five colors of Gorenjai, and they attempt to complete all five different colors in 6 hours. The chance that the five cast members choose all different colors is 120/3125 (3.84%). The challenge is based on the main running gag of the Gorenjai sketches: that the team members couldn’t decide who wore which colors. 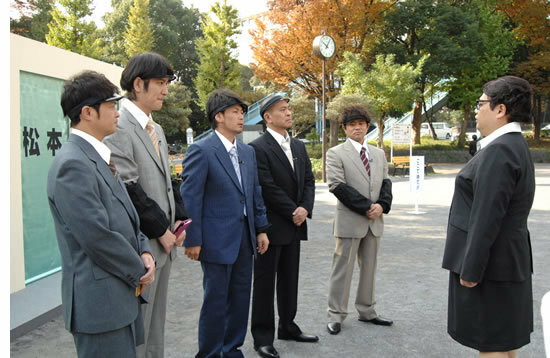 The members of Gaki no Tsukai partake in their fourth annual punishment game. Filmed in Ibaraki prefecture, this year’s setting was a spy school and it was aired on New Year’s Eve at 6:30pm to 12:30am on New Year’s Day. 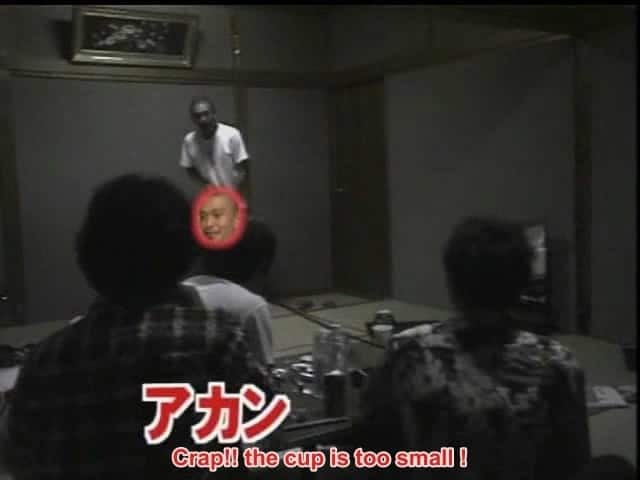 Over 100 celebrities were involved with the filming including Itao Itsuji, Matsuko Deluxe, Masahiro Chono, Bibari Maeda, Claudia Umemiya and Tatsuo Umemiya. For the third consecutive time, Yamazaki, Downtown, and Coq au Rico took part in the annual punishment game. The setting was a hotel and it aired on New Year’s Eve at 6:30pm until 12:30am on New Year’s Day. Numerous cameo and guest appearances were made, including Masahiro Chono, Masahiro Tanaka, Natsumi Ogawa ( Hamada’s wife ), Endō’s ex-wife Chiaki, Jyunji Endō ( Endō’s younger brother), Masako Mori, Ayumi Nakamura, Monta Yoshinori, and Yoshimi Iwasaki. In Silent Library, the cast and a sixth member, usually Heipo, are in a staged library in which one of them has to undergo a punishment upon choosing the card with the skull and crossbones on it (similar to Russian roulette). Although the game requires that they remain silent during the entire segment, the members repeatedly let out bursts of muffled laughter that is loud enough for the occupants of the library to hear. An example of punishments are being “Outwitted” (having a nose hair pulled from the nostril), “Nose Fishing” (a metal clamp attached to the inside of both nostrils being pulled), and “Hot Earmuffs” (boiled earmuffs put on both ears). 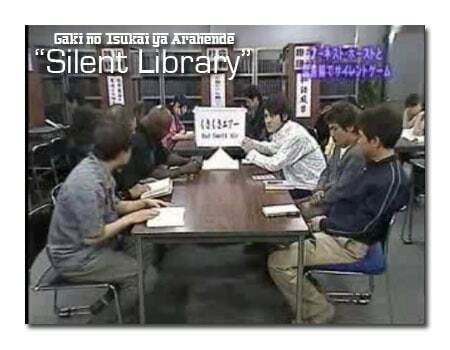 Former K-1 champion Ernesto Hoost once made a special appearance, as well as writer and film director Koki Mitani.This segment was adapted into an American game show, called Silent Library. 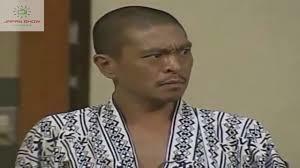 The international version of the show is referred to as Fist of Zen. It debuted on MTV on June 15, 2009. For the second time around, all five members of the regular cast took part in the annual punishment game. This year the chosen setting was a newspaper agency. The members had to go to a number of mock press conferences dressed as journalists. Endo’s ex-wife Chiaki made a guest appearance in a conference about her “new husband.” In keeping with the theme of the punishment game, giant latex pencils were used to strike anyone who had been declared OUT. For this special, Downtown, Yamasaki, and Coq au Rico all took part of the most infamous punishment game — and they were forced to cross-dress as nurses for this one. Yamasaki, who had just completed a hospital stay after being treated for enteritis, was permitted to take some absences during the game. Among the famous guests who performed here were Sonny Chiba, Masahiro Chono and many other comedy duos in Japan. As a side note, it was during this game that the record at the time for most punishment-strikes ever inflicted was set, with Hitoshi Matsumoto having received a total of 259 of them. 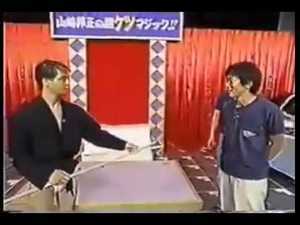 This batsu game premiered as a three-hour special. The losing players were Yamasaki, Hamada, and Endō, who lost at a Russian Roulette style game using large tubs suspended from the studio ceiling, and cutting loose the one’s that fell, thus earning them a spot in the Batsu Game. Matsumoto and Tanaka avoided the batsu, and later appeared in the game, visiting the three punished players. The hang-men were especially rough when giving discipline to offenders. 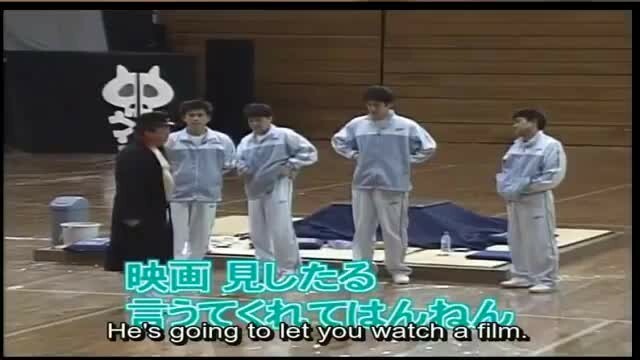 Matsumoto, Yamasaki, Endō, and Tanaka are punished after losing another Russian Roulette style game where they shocked themselves. This time, they are sent to ‘high school’ for one day. The punishment weapon for this game is the shinai, and Hamada participated as one of the hang-men. It was revealed that this game was shot during Matsumoto’s birthday. 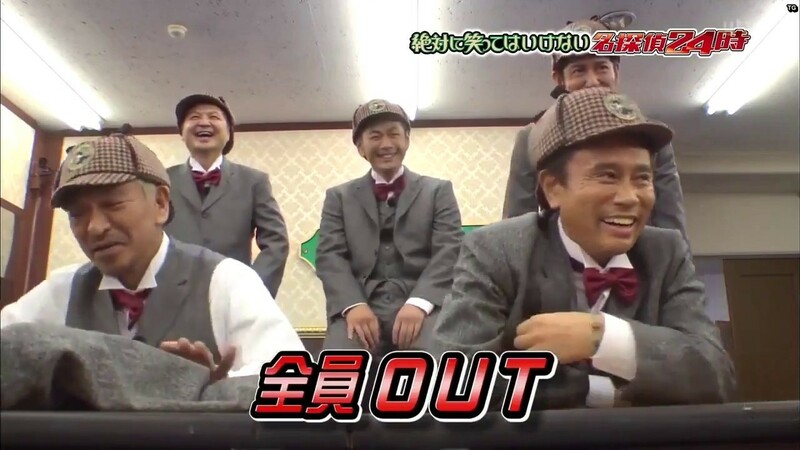 In a Russian Roulette style game involving sushi, Yamasaki, Tanaka, and Hamada lost and were punished in the second spa-themed no-laughing batsu game, filmed at Yugawara, Kanagawa. A riding crop was the punishment device employed. Matsumoto and Endo joined the game half-way as “The Mad Brothers.” This batsu game features Endō’s luchador character Dynamite Shikoku. 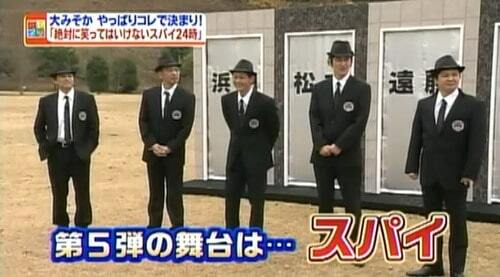 The first No-Laughing Batsu Game, shot in Yamanashi, it served as the punishment for Matsumoto, Yamasaki, Endō, and Tanaka, for losing to Hamada in a 4 vs. 1 bowling match (which aired on May 18, 2003). Getting caught laughing during this game resulted in having a dart from a blow-gun shot into the buttocks. Given the newness of the concept, this punishment game was carried out in a somewhat “primitive” way: the Watchers were more lenient with enforcing the rule, and the auto sound blared rough over the sound-system that was set up through the facility. 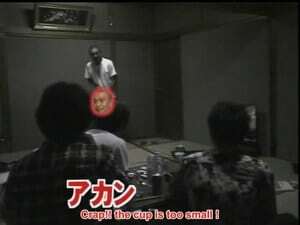 After Matsumoto loses a swimming match (match aired on Feb. 11, 2001) against the other four cast members, a batsu game is set at a “haunted ryokan”, where Matsumoto must remain overnight. He endures ghost apparitions, a seemingly empty samurai suit that comes alive, and random knocks on walls, among other things. 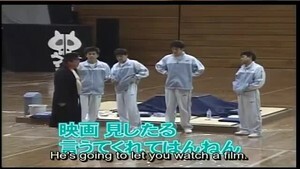 The other four cast members attend to support him in controlling his fear, but end up scaring him as well. 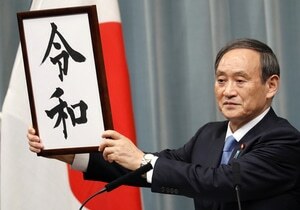 The name of the era of Japan’s soon-to-be-emperor Naruhito will be Reiwa, the government announced Monday. Emperor Akihito is stepping down on April 30, in the first abdication in 200 years, bringing his era of Heisei to an end. The new era takes effect May 1. 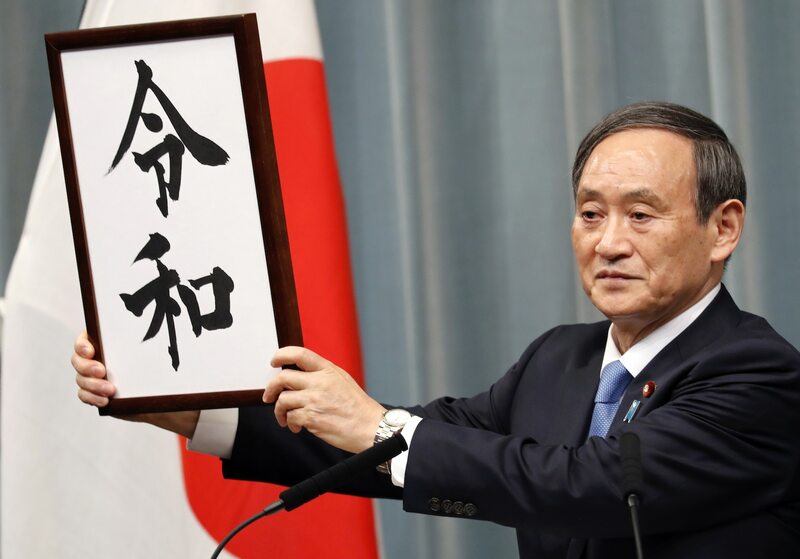 The choice was a break from more than 1,300 years of drawing era names, or gengo from using Chinese classics. It was kept strictly secret ahead of Monday’s announcement. Japan is the 2nd largest Pharmaceutical & biotechnology market in the world after the United States. Japan accounts for around 10 percent of the global pharma market, compared with 39 percent for the U.S. and 21 percent for Western Europe approximately. The pharmaceutical market has size around $ 150 billion, where biotechnology market value of Japan is projected to sharply increase reaching $100 billion by 2020. The Japan government recognized the big demand on this sector and realized the need of having a national strategy for Pharmaceutical & biotechnology development. Number of plans based on the Biotechnology Strategy Guidelines have been implemented since last few years. Currently, Japan still lags behind the U.S. in this sector but it is taking a lead in the field of gene analysis, genetic recombination, bioinformatics and others. With the great effort of the government by providing substantial resources to this sector, biotechnology is expected to become a major sector. Furthermore, The Industrial Cluster Plan Policy is one of the efforts of the government to strengthen the capabilities of the defined regional cluster areas to develop new technologies and product. Among the 17 projects, 8 of them are focused on the biotechnology industries. Moreover, Japan has a much lower penetration of generics compared to most of the major markets which is advantageous for the big pharma. In Japan, every citizen has to participate in the insurance program managed by Government of Japan National Health Insurance (NHI). National Health Insurance (NHI) scheme as well as the majority of health care spending is publically funded. The government is taking number of initiatives to control spending, such as encouraging use of cheaper generic drugs, self-management of chronic diseases, and preventive care. A biennial NHI pricing review usually results in price reductions. This also is one of the most significant challenges faced by pharmaceutical companies in the Japanese market is the practice of biennial price cuts. Overall, the average cut of 5.64% will be applied on a drug price basis in the 2014 price revisions similar to the price cut of 6% applied in the 2012 price revisions. Market expansion based re-pricing rules as well as the special additional price cut being implemented this year on products for which the first generic was approved five years ago and have less than 20% generic replacement rate by volume will hamper the growth of the domestic pharmaceutical industry In addition, a new health technology assessment (HTA), expected to be implemented in 2016, could make it more difficult for life sciences companies to obtain competitive launch pricing and market access unless the new treatment is deemed innovative and cost-effective. Also, while the use of cost-saving generic drugs has been proportionally lower in Japan than in other developed markets, the government has strengthened the incentives for healthcare providers to prescribe generics. The new drug development premium awarded to innovative products shields the products from biennial National Health Insurance (NHI) price reductions during their patent protection period. This premium will enable patented branded products in its market expansion. During the 2014 NHI price revisions, 397 active ingredients (758 products) have been granted the exemption, over and above the 367 active ingredients considered for the treatment in the 2012 revision. Takeda Pharmaceutical, Japan’s largest pharmaceutical company and Asia and a top 15 pharmaceutical company. The company has over 30,000 employees worldwide, looks likely to increase its global footprint merger & acquisition done by it all over world. Otsuka’s $3.5bn acquisition of California-based neurologic disease specialist Avanir Pharmaceuticals in December 2014 is an even more potent demonstration of Japanese companies’ greater focus on global M&A. Indeed, generic manufacturers from around the world – but especially generic specialists such as India – are looking to Japan as a source of future expansion. According to the Economic Times, Indian generics giants including Dr Reddy’s, Lupin, Sun Pharma and Glenmark are exploring options for tapping into the growing Japanese generics market. Active pharmaceutical ingredient (API) and generic finished dose suppliers who recognize this growth potential and understand the specific needs and challenges unique to the Japanese market stand to see significant earnings in this region over the coming years. 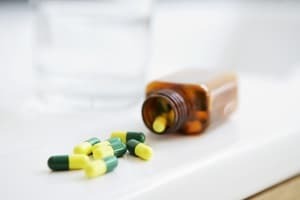 The global Active Pharmaceutical Ingredient Market is expected to reach USD 205.51 billion by 2020 from USD 150 billion in 2015, at a CAGR of 6.5% during the forecast period .The active pharmaceutical ingredient (API) market in Asia is growing at an increasingly rapid pace. From 2007 to 2011, it went from 24.5 to 28.5 percent of the world market. From now through 2017, it should expand at a rate of 8.2 percent annually. This puts Asia’s API market worth $33 billion currently at more than $50 billion by 2017. Japan has long led the rest of Asia in demand for APIs. In 2012, the market for APIs in Japan was the largest in Asia, at $15.5 billion. Many foreign API firms from India, Europe and the US are actively selling their APIs on the Japanese market. Japan’s share of innovator APIs is high, and demand is growing especially in the biotech drug sector. But API generics are also starting to gain ground in Japan. Chinese and Indian firms have recently flooded Japan’s market with inexpensive APIs. The accompanying price competition has forced some Japanese API manufacturers out of their own domestic market. An increasing number of foreign pharmaceutical companies are selling APIs on the Japanese market. Sometimes they sell to domestic drug manufacturers and sometimes they sell to foreign drug companies manufacturing products in Japan. According to Catenion’s , pharmaceutical industry of Japan faces two fundamental problems for which it has not yet found an answer; these problems are firstly, an inadequate approach to managing innovation and secondly, a profound misunderstanding of the nature of risk and consequently poor risk management. The industry’s poor innovation track record is shown by the statistics of drug approvals by the FDA. There has been a long-term trend of a decrease in the number of NCEs and NBEs despite rapidly increasing R&D budgets. A recent study by Czerepak and Ryser published in Nature Drug Discovery shows that for the period between January 2006 and December 2007, barely 35% of the drugs approved by the FDA originated in the pharmaceutical industry. Less than half of these qualified for the label “novel drug and new chemical structure”. Industry critics have used statistics such as these to argue that Big Pharma is shying away from true innovation and pursuing mostly me-too projects. A quick look at company pipelines shows this to be a wrong conclusion. There is an abundance of exciting, highly innovative projects and risky science going on at most companies. While some industry observers and investors continue to hope there might be an innovation backlog in the wake of unprecedented progress in molecular biology, disease understanding, lab technologies and novel drug formats, others are more pessimistic. Turning to the second issue, Catenion have identified, the pharmaceutical business is a risky business par excellence but the nature of risk is often not fully appreciated by operators. Of course pharmaceutical executives know the scientific, technical, regulatory and commercial risks of their business. They spend a lot of their time devising and executing risk mitigation activities for these risks at the operational level. The argument we wish to make here is that there is too little awareness that risk must be managed properly at the strategic level as well. Such strategic risk management requires more sophisticated methods than those generally used in the industry today. There are three major points to our argument, covering the nature of risk itself, correlated risk in the R&D pipeline and the degree of risk diversification at the corporate level. Lupin is the only Indian pharma company to have a presence in the Japanese generic market from which it currently earns about 12% of annual revenue. Till date, Lupin Ltd has made two buyouts in Japan: Tokyo-based I’rom Pharmaceutical Co. Ltd in 2011 and Kyowa Pharmaceutical Industry Co. Ltd in 2007. Sun Pharma, which acquired Ranbaxy Ltd for $4 billion last year, also plans to raise up to Rs.12,000 crore through convertible debentures or a qualified institutional placement (QIP) for expansion and acquisitions. Japan, where drug sales were estimated at $115 billion in 2013, accounts for nearly 10% of the global pharma market according to a 2014 Deloitte report. The growth will mainly come from higher generic penetration. The government is keen to have a larger generic share to reduce their healthcare costs. An ageing population and mounting health costs have prompted the Japanese government to try and increase the presence of generic drug makers, bringing the Japanese market under the radar of Indian pharmaceutical companies. According to Deloitte report, Japan’s rapidly ageing population just over a quarter of the population was aged 65+ in 2013, up from 12% in 1990, and accounting for over 50% of the country’s healthcare costs is expected to drive demand for pharmaceuticals in 2014-2018.The state-funded National Health Insurance scheme covers every citizen in Japan. In 2010, as part of efforts to increase the generic penetration, the government launched a series of reforms targeting 30% of the drug market by 2014 and 60% by 2017, from 18% in 2010. Besides the reported move by Sun Pharma, other Indian generics makers, including Dr Reddy’s Laboratories and Glenmark Pharmaceuticals Ltd, are exploring options for entering Japanese generics market with their formulation drugs.